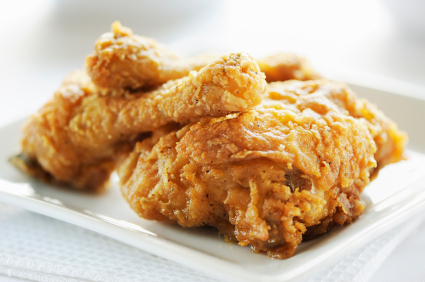 Fried chicken is something we have avoided for decades, but it can actually be healthy when done right. This is great for a summer picnic at the beach. Add flour, salt, pepper and paprika to the bag. Dredge the chicken in the egg, then add to the bag. Put 4 TB coconut oil in a pan and turn heat to medium. Add chicken and cook until they are brown on each side. Placed browned chicken in a large pyrex dish. Preheat oven to 350. Put the chicken in for 20 minutes. Yum!